Justice and Compensation Available to Atlanta Teens Injured in Providence at Cascade Apartment Shooting? Could this senseless Atlanta apartment shooting have been prevented, and are justice and compensation available to the young victims? 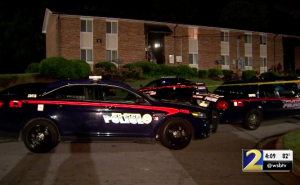 Three Atlanta teens, ages 19, 15 and 14, were hospitalized after gunfire reportedly erupted outside an Atlanta apartment complex Tuesday morning, June 12, 2018. According to The AJC, “Atlanta police were called to the Providence at Cascade Apartments around 12:30 a.m. They found a 19-year-old man shot in the hip and the 14-year-old shot in the lower back.” A third victim, 15, was transported to the hospital by family with multiple gunshot wounds. Their current conditions have not been released. Was negligent security a factor in this senseless Atlanta apartment shooting and could this incident have been prevented? Read Our Legal Take below to find out if the victims may have legal avenues for justice and claims for substantial compensation in Georgia. Have there been prior incidents of violence on or near property? What security measures, such as gated entry, bright lighting, surveillance cameras, and security patrols, were in place to deter crime and protect the young victims at the time of the shooting? By law, property owners in Georgia are required to protect all those legally on the premises from any foreseeable harm. Should the facts of this matter reveal that the apartment complex owner or management failed to provide adequate security, the young victims and their families may seek justice and elect to pursue legal claims for their injuries.